"It’s a simple solution to lock up more people, and rarely are simple solutions the answer to complex problems." We have been told that NSW will now be funding a further 3,000 prison beds in its budget at a cost of over $3.8 billion. The government admits this is in response to tougher bail laws, increased policing and a lack of alternatives. Rather than spending this extraordinary amount of money on more prisons, surely it is time to pause and ask -- is this what is most effective? Everyone wants safer communities, higher school attendance rates, more educational and employment opportunities, better access to drug and alcohol treatment and other community based support services. All of these are less likely to occur if our taxpayer money is spent on the least effective and most expensive option of prisons. It's a simple solution to lock up more people, and rarely are simple solutions the answer to complex problems. Imagine if governments avoided the usual law-and-order approach and instead developed a smart justice approach that allowed the public to understand that crime rates across Australia are actually falling in many categories. Governments could refocus their energies on lifting communities through a justice reinvestment approach. One that tackles non-serious crime appropriately to reduce incarceration rates while continuing to ensure that it is serious and violent crimes that result in incarceration -- but which also supports early intervention and rehabilitation programs to reduce offending. And let's look at who gets hit hardest by a prison-led approach. We are all too familiar with the fact that Aboriginal and Torres Strait Islander people are imprisoned at shockingly disproportionate rates compared to non-Indigenous Australians. At last count, 24 percent of all adult male prisoners, 30 percent of all adult female prisoners and 48 percent of all juvenile detainees were Aboriginal and Torres Strait Islander. This is well known and shocking. However, what may be less known is that almost half of the Aboriginal and Torres Strait Islander people in prisons in NSW are incarcerated for non-violent offences including breaches of court orders, property offences and driving offences. In 2014, almost 40 percent of people in regional areas sentenced to imprisonment for driver licensing offences were Aboriginal and Torres Strait Islander. Do we really want to spend huge sums of money on locking up people for offences like these? Our pursuit of a justice reinvestment platform in NSW is based on the need to provide a sustainable and efficient funding framework to address offending behaviour now and into the future. All too often resources are directed at Aboriginal and Torres Strait Islander communities without consultation with those communities. Decisions are made in the halls of parliament and departments with little understanding of the community needs or, at times, even the programs already provided by other levels of government. Supporting communities to take control and determine the needs of their community so they can provide young people with the access to services they need to reduce the likelihood of offending behaviour is a critical long-term strategy. 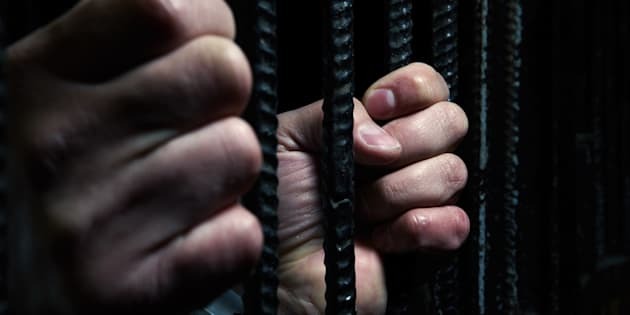 In the short term, our focus is on ensuring that some of the people currently imprisoned for less serious offences are given options that seek to resolve the problems that led to that behaviour, rather than compounding them. It is a strategy that could also help governments address their spending of enormous sums of taxpayers' money merely to cope with the ever-increasing numbers of people in prison. Sending people to prison exposes them to even greater levels of violence than occurs in their community. For Aboriginal and Torres Strait Islander communities, the continued journey of their people into prisons and juvenile detention centres is making the changes they want to see in their communities even more difficult as people often return damaged by their prison experience. It's time to look at tackling the root causes of crime, properly funding the many effective alternatives that can and should exist in troubled communities across NSW and to be honest about the shameful waste of taxpayers' money by building more and more prisons. If Heroin Assisted Treatment Works, Why Isn't Australia Providing It To Those In Need?